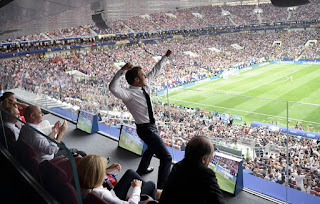 The very measure that was supposed to bring clarity and fairness to the game has left rather a cloud at the beginning of the 2018 FIFA World Cup TM Russia. 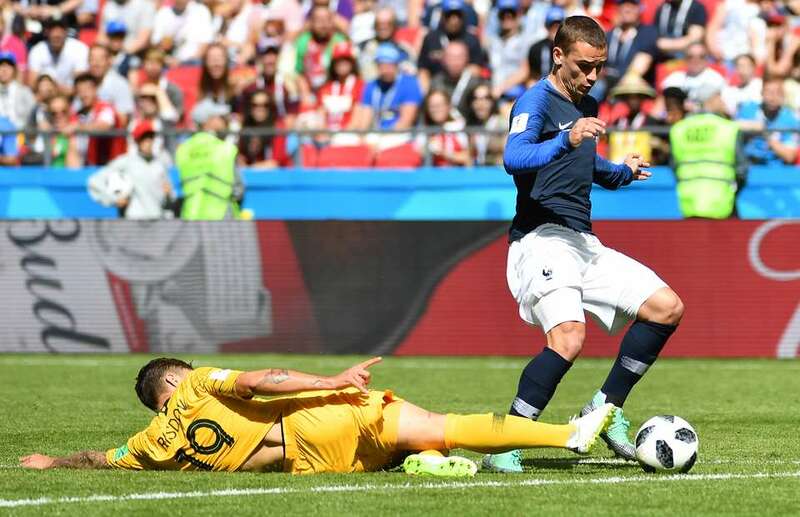 Var was used for the first time in the French match against Australia. Socceroo, Joshua Risdon tackled Antoine Griezmann (France) in the penalty box as the Man of the Match, was bearing down on goal. 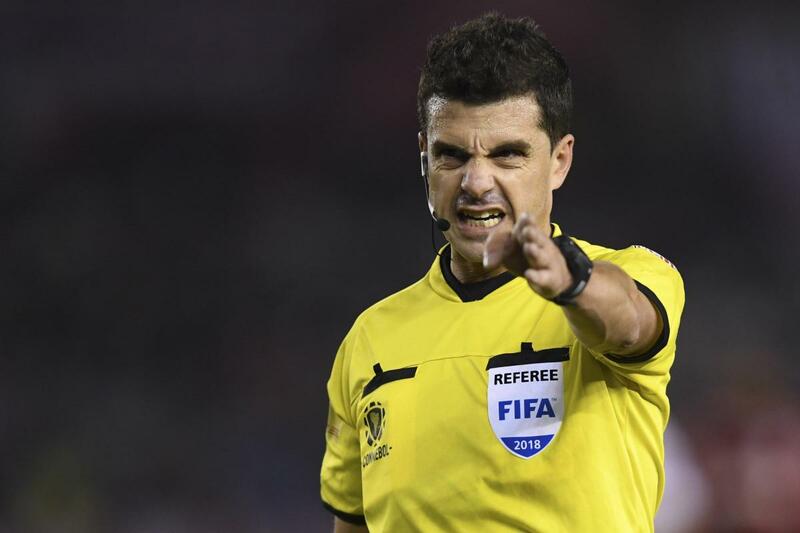 Referee Andres Cunha initially waved play on, but was alerted by the VAR observers there was an infringement. He stopped the game to look at the video replay, he was presented with edited footage from two angles which appeared to show the defender did not make contact with the ball. 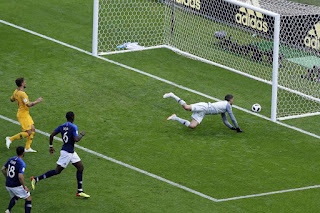 However there was other footage from behind the goal which suggested Risdon's tackle appeared to make contact with the ball before following through on Griezmann. On his return to the pitch pointed to the spot. A clear penalty but Risdon was not red carded. 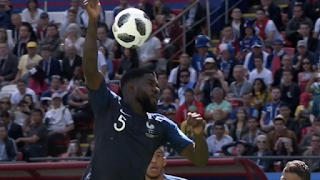 Replays of the event appear inconclusive as to whether or not the Australia right-back got a touch on the ball before bringing down the Frenchman. If he did it was not a penalty, but if he did not touch the ball and impeded the player preventing a clear scoring opportunity , the defender should have been sent off. Moments later, a clear handball from Samuel Umtiti (France) on a cross into France's penaly box gave Australia a penalty. Mile Jedinak converted in the 62nd minute. Despite this professional foul taking place within the penalty box , no action was taken against the Frenchman. who should have recieved a red card. 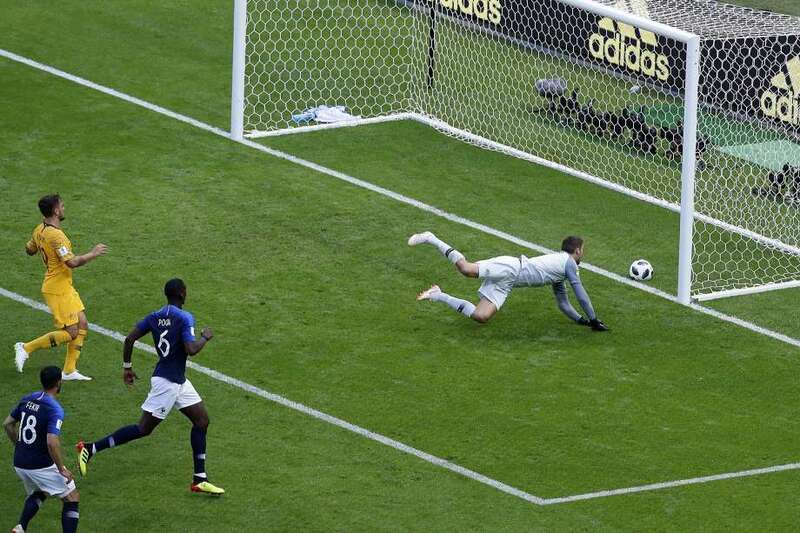 Later in the 81st minute, Paul Pogba (France) scored the winning goal in the 2-1 game with a lob over the keeper’s head which bounced off the bar behind the goal line before bouncing back into the keeper’s arms. Goal-line technology was used to confirm the ball had crossed the line after bouncing down off the crossbar.